Did you know that dentistry not only saves teeth, but it saves lives too? I hope so. If you are reading this, you may already know that not only does your role as a Dentist save patients’ teeth, but it can potentially save lives as well! It’s a great role to be in and it continues to grow and advance every year—take advantage of that! Let’s take a closer look at how you can not only help save teeth, but potentially save lives, too. As a dentist, not only can you help protect your patients’ teeth, but you can also help in the relation of sleep dentistry. 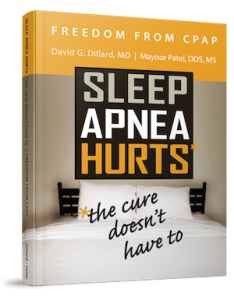 One of the most serious health concerns in our society today is the presence of obstructive sleep apnea (OSA). The majority of patients with OSA have two main characteristics: loud snoring and excessive daytime sleepiness. While the diagnosis of OSA can only be made by a medical practitioner such as a sleep specialist or ENT specialist, you can still be the one to notice the first signs to recommend seeking diagnosis. There appears to also be a high correlation between patients who have GERD (gastroesophageal reflex) and OSA. With so many conditions, it is important to understand OSA and how you can recognize signs and symptoms before your patient or their doctor might. The earlier OSA is recognized, the better equipped we are for treatment. As a dentist, you hold a unique position because you see your patients twice a year. By understanding Obstructive Sleep Apnea and its symptoms, you may be able to recognize OSA in your patients before they do. By recognizing symptoms, you can recommend they visit their doctor for proper diagnosis. From there, you can provide your patients with effective treatment to potentially save their lives in the long run. Developing a marketing strategy is vital for any business, especially your dental office. Without a proper marketing plan, your efforts to attract new patients are likely to be haphazard and inefficient. We’ve touched base on marketing before, but let’s take a closer look at what you need to do to create an effective marketing strategy. When creating your marketing plan, your focus should be on making sure that your products and services meet your patients’ needs and developing long-term and profitable relationships with those patients. Here is a list of 5 dental office marketing ideas you might want to consider. When you are writing your website content or blog posts, be sure to include keywords within your pages. However, do not overdo it with the keywords. You want to include 2-3 per page just to get your practice out there. If you overload your content with keywords, Google will pick this up and “spam.” The keywords will show up for certain items to reach interested patients. We have mentioned it before, and we will mention it again-social media is key. Use Facebook or Twitter to post fun dental sleep medicine facts to patients. When patients see these “fun facts” they will be more prone to share with their friends. You want to not only reach your patients through social media channels, but you also want to engage them. Without engagement, your patients will simply browse over the information without really paying attention. If you provide accurate and thoughtful information, they may be more inclined to share it with their friends—especially if that information reminds them of a friend or loved one. Lastly, try sending a press release once a month. Remember, though, that a press release should be “news worthy,” which means it needs to announce something. Whether you have won an award, are offering a new procedure or technology, or have moved locations all can be news worthy topics you can share through a press release. Send a press release to local media to notify the public about your news worthy information or utilize an online distribution database to send your information through the Internet. Either way, press releases help to generate outside links back to your website for improved search results. Contact Dr. Mayoor Patel for more information on how you can successfully market your dental office for 2015.